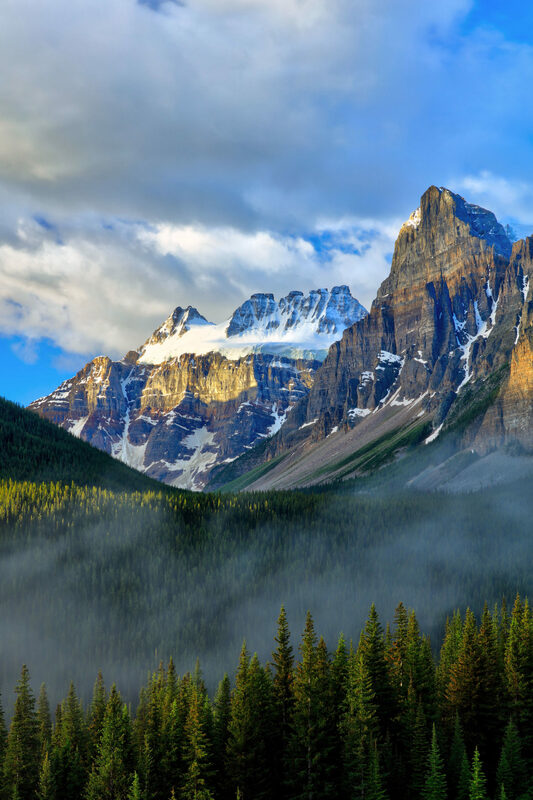 This view can be seen from the Moraine Lake Road in Banff National Park, about a 15 minute drive from Lake Louise. This view of the peaks above Consolation Valley was taken on the morning of July 1 this year. The rising sun illuminated the peaks above the valley while some lovely clouds flowed down the valley in front of me.